Cerebral ischemia induces death of all neural cell types within the region affected by the loss of blood flow. We have shown that administering human umbilical cord blood cells after a middle cerebral artery occlusion in rats significantly reduces infarct size, presumably by rescuing cells within the penumbra. In this study we examined whether the cord blood cells enhanced astrocyte survival in an in vitro model of hypoxia with reduced glucose availability. Primary astrocyte cultures were incubated for 2 h in no oxygen (95% N, 5% CO2) and low glucose (1% compared to 4.5%) media. Cord blood mononuclear cells were added to half the cultures at the beginning of hypoxia. Astrocyte viability was determined using fluorescein diacetate/propidium iodide (FDA/PI) labeling and cytokine production by the astrocytes measured using ELISA. 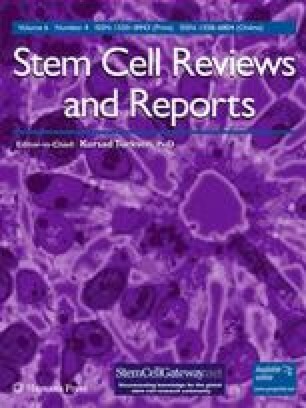 In some studies, T cells, B cells or monocytes/macrophages isolated from the cord blood mononuclear fraction with magnetic antibody cell sorting (MACS) were used instead to determine which cellular component of the cord blood mononuclear fraction was responsible for the observed effects. Co-culturing mononuclear cord blood cells with astrocytes during hypoxia stimulated production of IL-6 and IL-10 during hypoxia. The cord blood T cells decreased survival of the astrocytes after hypoxia but had no effect on the examined cytokines. Our data demonstrate that the tested cord blood fractions do not enhance astrocyte survival when delivered individually, suggesting there is either another cellular component that is neuroprotective or an interaction of all the cells is essential for protection. This study was funded in part by the American Heart Association (AEW, grants 0355183B & 0555266B) and the National Institutes of Health (AEW, R01 NS052839). Human umbilical cord blood cells were provided by Saneron CCEL Therapeutics, Inc. SS and AEW were consultants to Saneron CCEL Therapeutics, Inc. PRS is co-founder of Saneron CCEL Therapeutics, Inc. AEW and PRS are inventors on cord-blood related patents. CDS is Vice President for Research at Saneron CCEL Therapeutics.